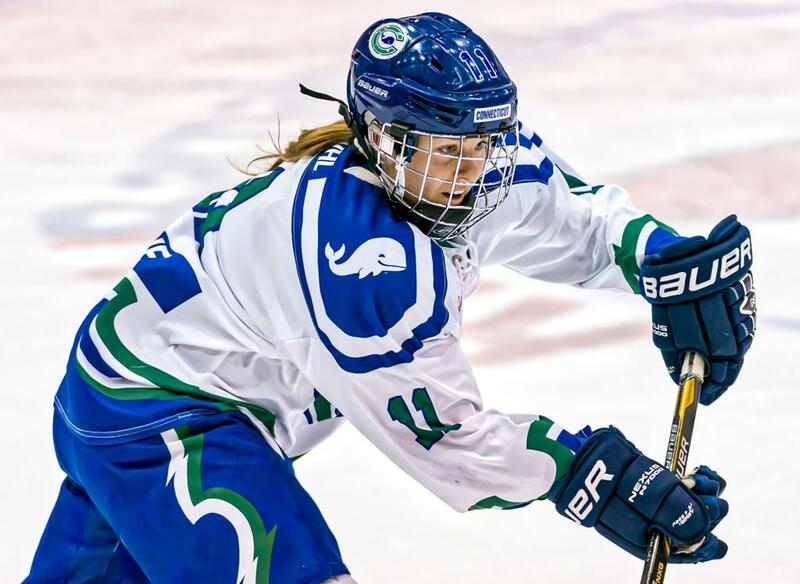 In her second pro season, Emily Fluke is continuing to produce memorable moments on and off the ice for the Connecticut Whale and its fans. Her passion and enthusiasm for the game she loves are a big reason why the first-year captain was voted by the fans to participate in the NWHL All-Star Weekend in Nashville on Feb. 9 and 10. This season with the Whale, the 26-year-old had a four-game point streak and ranks second on the team in points (7) and goals (2) while leading the team with five assists. 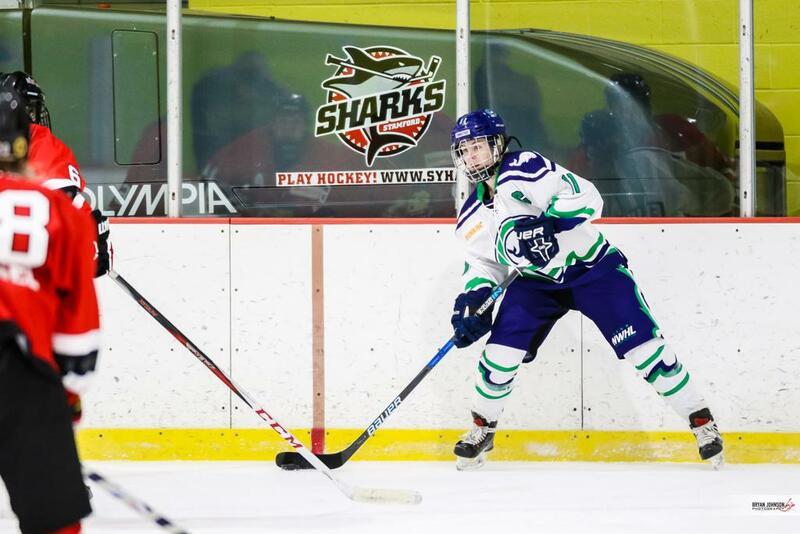 Fluke and fellow linemate/All-Star Katerina Mrázová have been a dynamic duo all season, giving the franchise a solid foundation to build around - as evident by the fact that both players have recorded at least one shot on goal in every game they’ve played in. 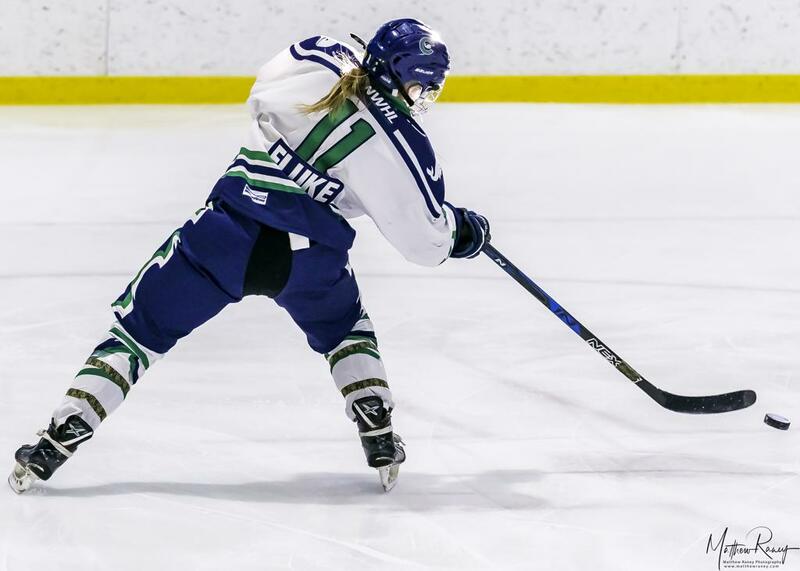 Connecticut’s captain has 18 career points (6g-12a) and is very excited to be making the trip to Nashville at the end of the week to meet up with her fellow peers while hopefully leaving a lasting impression in a new market for the NWHL. Tickets to Saturday's Skills Challenge are sold out, but tickets to the All-Star Game on Sunday at Bridgestone Arena following the Nashville Predators game are available for just $20 at NWHL.zone/tickets. This will be your first All-Star Game, how excited are you to go to Nashville for what will be a pretty unique experience?There are so many things to be excited about like the Skills Competition, the game, all of the new fans, playing at Bridgestone Arena. And then, it’s Nashville! I’ve never been there and it’s been on my bucket list for a very long time. It’s a great excuse to check out a great city, I love country music and some of my family and friends are coming so I’m really looking forward to it. You get to go to a new market too, where there isn’t a professional women’s hockey team and that has to be pretty awesome, right? The past two seasons our team has gone to Pittsburgh and tested that market, and it’s really incredible seeing and talking to the fans after the games, hearing about the distance that they’ve traveled (to come to the game). It’s fun because it’s Pittsburgh but then you have people that drove from six hours away in Ohio or wherever they came from. It’ll be really cool to meet the fans - the local fans and the people who traveled. I’m sure there will be a lot of people who are coming from different states. For the Skills Competition is there any particular event you want to throw your hat in the ring for? Whatever they put me in (laughs)! I don’t think I have a specific, dominant skill that I’m looking to test out. I’m not anticipating winning any of the Skills Competitions (laughs). Maybe the Shootout or Breakaway Challenge? I don’t know if I want to ruin my shootout percentage though; in the NWHL I’m currently 100%, in only one attempt. Gotta keep that percentage up! Are there any players you are looking forward to playing alongside or spending time off the ice with? Yeah, I was thinking about that. You look at the lineups and how can you even pick one or two players - everyone is so talented and there is so much skill. But I am looking forward to meeting everyone on my team (Team Stecklein), playing with new players. I can’t just pick one out; everyone is so good. I’m excited to play with them and it’ll be fun to meet them off the ice too. Yeah. As you said, Kendall obviously did a great job breaking barriers for us and proving what we’ve already known, but what other people haven’t seen before. All that’s come out of it: the videos online, girls now wanting to try hockey - that’s exactly what we hope we can inspire for the next generation. I think it’s definitely a possibility. How could you not say that women’s hockey players deserve to be there when she finished right there against their All-Stars. I think it would be excellent and I think the NHL is obviously making strides in that women are being included in their Skills Competition. Hopefully down the line a co-ed tournament or weekend happens. That’d be awesome.